Today I'm sharing a card I made to send to our daughter, who graduated her Herbal Immersion program. She put in over 1000 hours of study and a couple of years of hard work, all while raising our three young grandkids and dealing with Olivia's disease (PH) etc. She is nothing short of amazing. 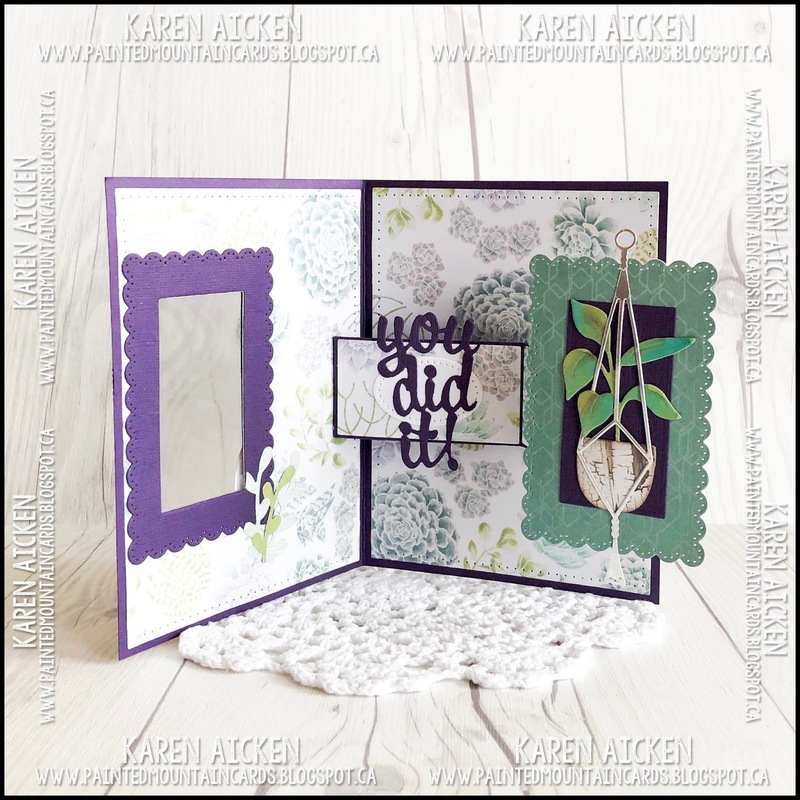 I used several favourite items to make this card: The pretty patterned paper by Lynda Kanase, which is sadly discontinued. The Sprig Punch from Stampin' Up is so perfect for just a little somethin' somethin'. 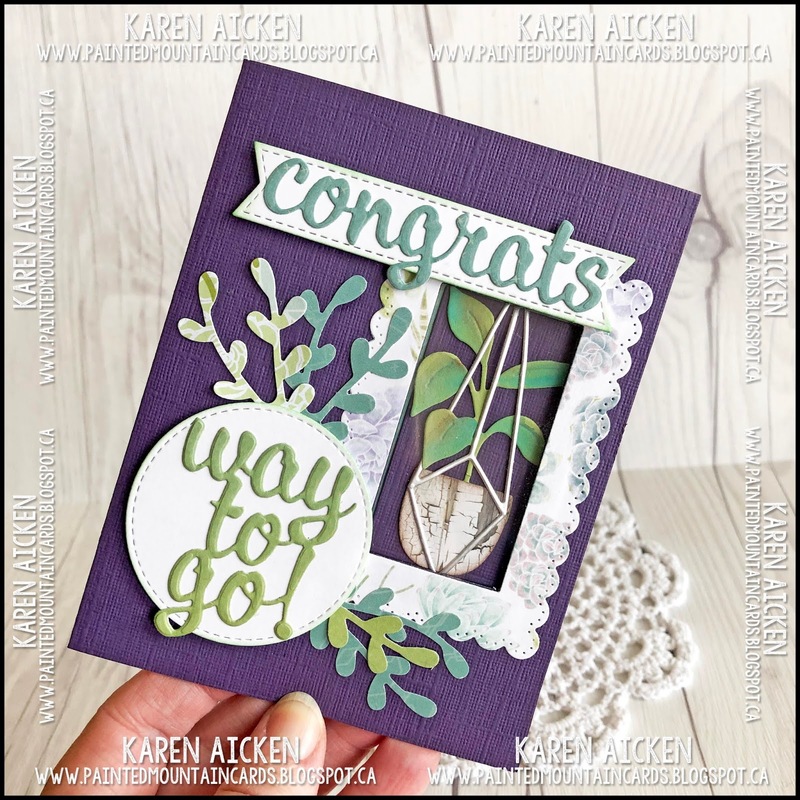 The stitched fishtail banners from MFT Stamps. All favourites and items I love to use. 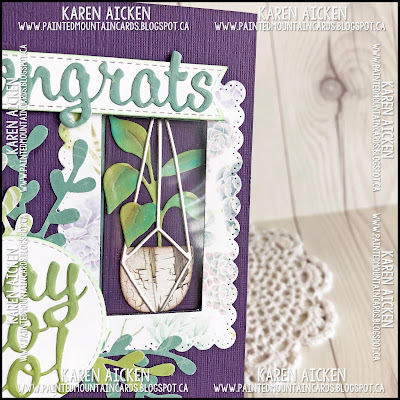 The Rockin' Rectangle die set is from Karen Burniston's newest release and it is a really fun pop-up and sure to become a favourite as well. 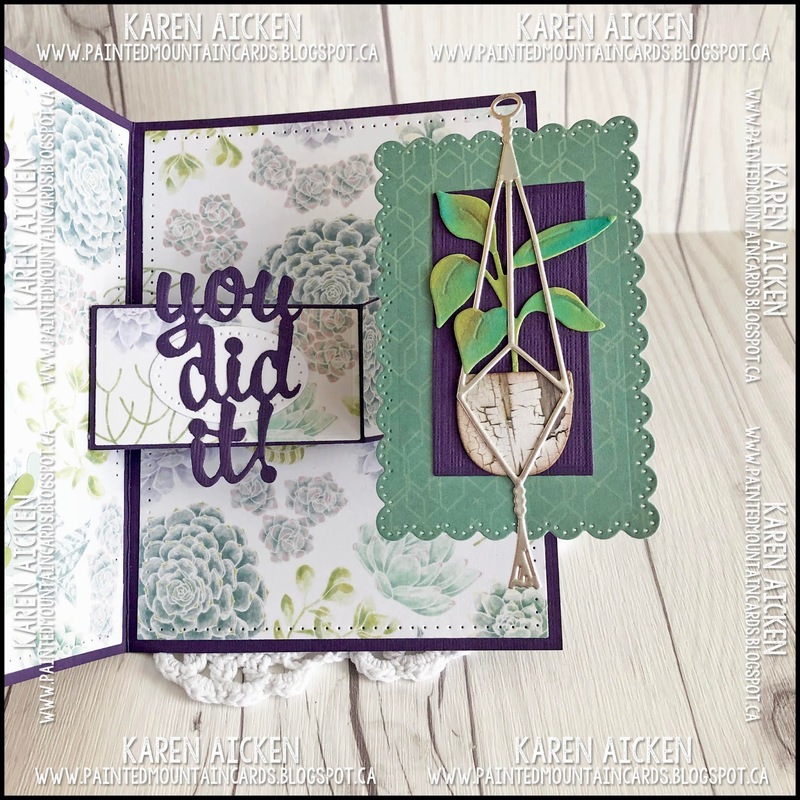 And the hanging planter die is one of my new Sizzix purchases and I was SO excited about it! I chose to add a window to my card front, so you get a peek at the hanging plant basket through the acetate. The words are from Karen Burniston's latest release as well. They work well for graduation cards but also for other accomplishments. When you open the card, the hanging basket panel rocks up and out to reveal the 'you did it!' message. I glued down a couple of sprig branches at the lower right of the inside corner, but they do catch the scalloped rectangle. They were glued down well though and there was no getting them off so I had to go with it. So be sure you check for catch points BEFORE glueing anything down! I die cut the plant twice, once from green card stock and once from woodgrain paper. Then I added additional colour to the plant with Distress Oxide inks and a water brush. 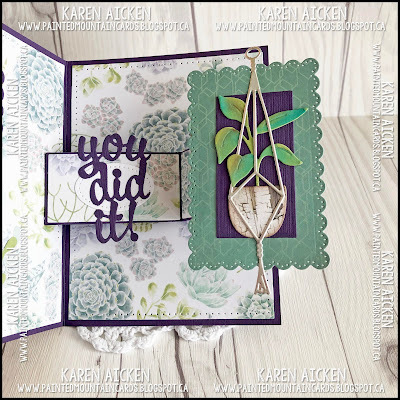 The plant hanger itself was cut from silver mirror matte card stock so it catches the light. Wonderful card! I have quite a few plant-loving loved ones!